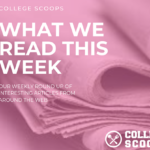 College Scoops provides parents of college-bound students with the resources they need to save time, money and stress when planning a college trip. 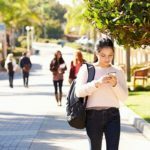 College Scoops offers 3 ways to ensure you and your son or daughter get the most out of each and every college visit. Depending on how much detail you would like, we’ve got you covered. 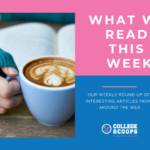 If you’ve got this college process nailed down and you just like browsing websites that provide helpful tips along the way, sign up for our newsletter to stay in the know. Are you the type who loves to have the insider’s guide on where to eat, stay, and play when visiting a new location? Ever wonder where the students like to hang out in between classes? Before leaving campus your college-bound student would love to get an uncensored feel for student life outside of the classroom and guided tours. The Insider Scoops offers a day in the life of a student at a particular college. Current students, parents, alumni, and staff have shared their inside scoops on where to go and what to do when visiting their school. It’s essentially the DIY version of College Scoops. Download our guides for the inside scoops to plan your trip. “Just Plan It For Me!” Life gets crazy and although we may enjoy planning for our holidays and weekend trips, sometimes we just don’t have the time, energy or patience to arrange yet another college trip. Don’t fret, we will do it for you! The aim of College Scoops is to ensure prospective students and families create lasting memories while exploring new places, trying new food, and meeting new people. Wondering where to grab a cup of coffee before the tour or information session? What other colleges are nearby? We've got you covered. The Insider Scoops provides a cheat sheet of students and parents favorite places to eat, stay and explore when visiting campus. Tired of planning or is planning just not your sweet spot? We can take a load off and plan the entire trip that works best for your family.